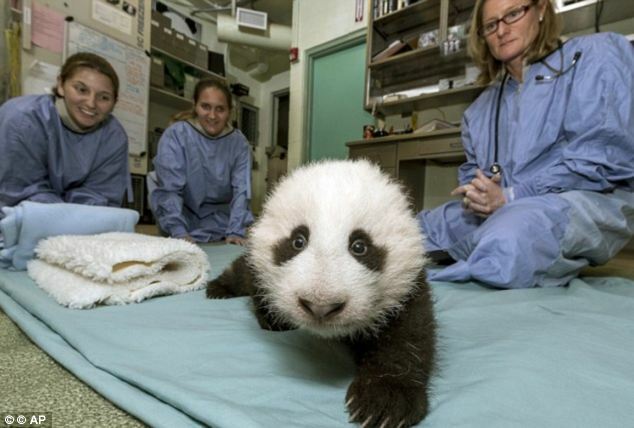 He may still be too young to make his public debut but that has not stopped a giant panda cub becoming a star. Xiao Liwu has yet to venture outside of his special accommodation at San Diego Zoo, but the 20-week-old cub can be watched almost 24 hours a day via its Panda Cam. 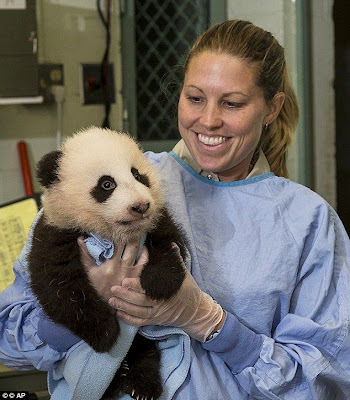 The cute bear, whose name means 'little gift' in English, was born at the zoo in July and is set to be the star attraction when visitors finally get to see him in person. However, vets said that will not be until Xiao Liwu can climb and follow his 20-year-old mother Bai Yun. 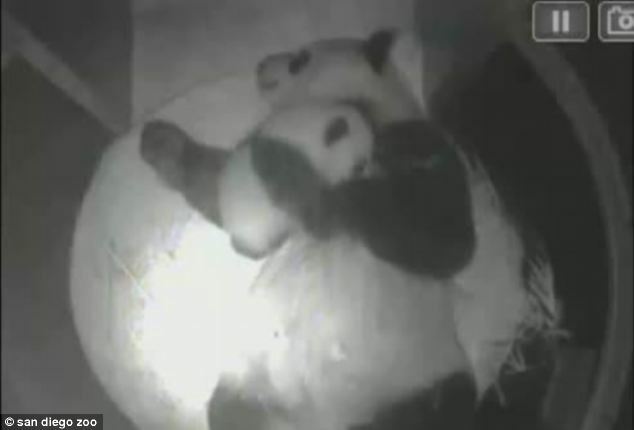 Dr Beth Bicknese, senior vet at the zoo, told Foxsandiego: 'He needs two things to go on exhibit — the ability to climb, and he’s not quite there yet, and he also has to have the behavior of following his mom out and back into the den. 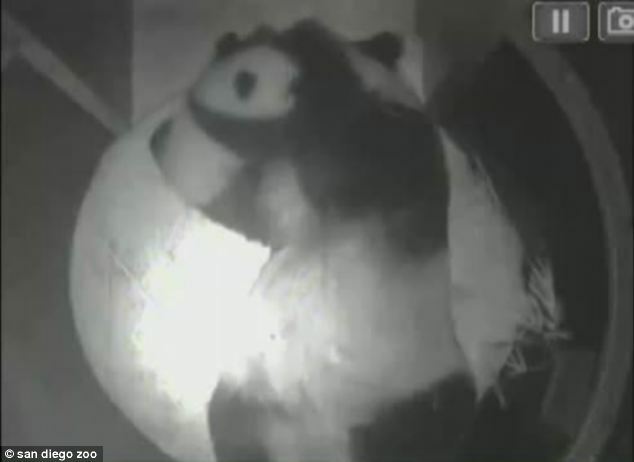 The cub has shown an interest in one of the climbing structures in the zoo's extensive panda suite but has not yet ventured off the ground. 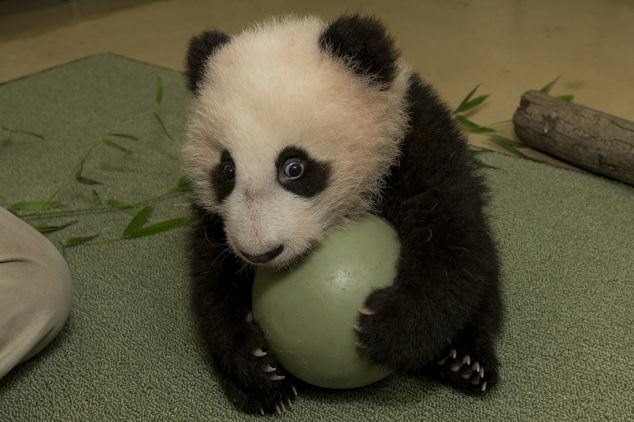 At his latest weekly examination yesterday, the adorable panda was seen hugging a ball - the first he had ever seen - as staff measured him to check on his progress. He now weighs 14.5 pounds and is 29 inches long from nose to tail. His birth in July was the zoo's sixth and set a new recrod for any breeding facility outside China. 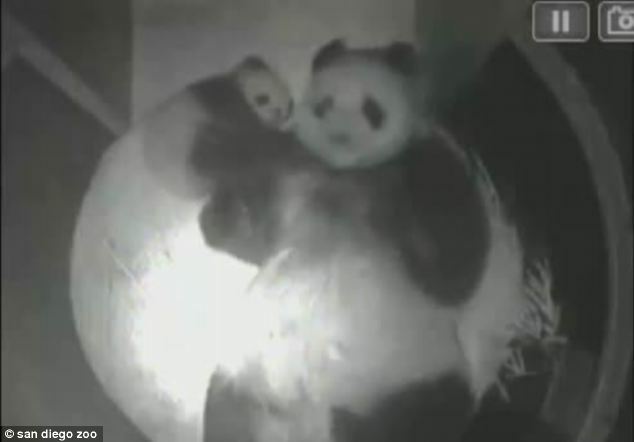 It currentlyhas four giant pandas, mother and son, her mate Gao Gao and three-year-old Yun Zi. Xiao Liwu's mother and another panda Shi Shi were loaned to the zoo by China for a 12-year successful research and breeding project. 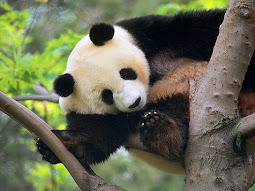 According to the World Wildlife Fund there are only 1,600 pandas in the wild and is the UK's rarest bear.